Doubtless, the 2012 athletes will be provided with excellent tracks. But will the cycle paths used to reach the Olympic path be of a decent standard? Maybe. Appoint platoons of cycle planning officers to commission regiments of consultants on cycle planning. Use traffic calming devices, known as chicanes, to kill and maim as many cyclists as possible. Introduce bendy busses, described as ‘public transport’, to mop up survirors and make London safe, once again, for vehicles powered by the infernal combustion engine. So, on the whole, I am lack optimism about the legacy of the London Olympics including a single high-quality cycle route. 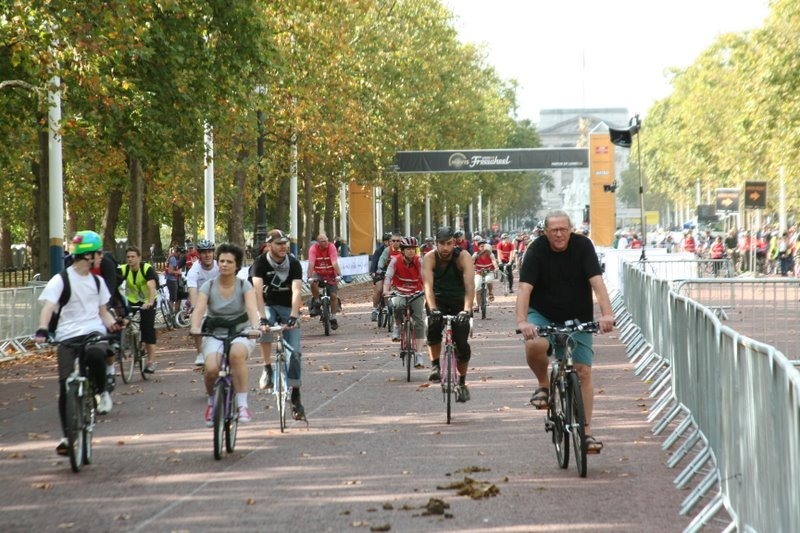 There are only two reasons for optimism: London’s Mayor (Boris Johnson) and the present leader of the Tory Party (David Cameron) are both keen cyclists. But so was a former Minister of Transport (Sir George Younger) and he managed to achieve nothing of value. In order to make cycle routes useful and beautiful, cycle route planning and design should be taken out of the hands of transport engineers. The job should be done by landscape architects – but only those who are themselves cyclists. 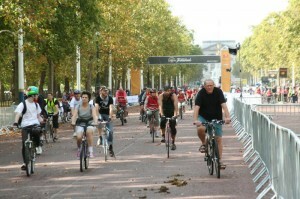 This entry was posted in Cycle planning, Landscape Architecture, London urban design, Sustainable design, Urban Design and tagged Cycle planning, cycle routes, London on 25th August 2008 by Tom Turner. With the hatred of competitive sport one learns best in a boys school, the only parts of the 2008 Olympics I watched on TV were the opening fireworks and the closing ceremony. China’s ancient prowess in fineworks and landscape painting were much in evidence. My home town, Edinburgh, ushers in each new year with brilliant use of its castle as a stage and Princess Street as the front stalls (photo Jenni Douglas). Beijing had fireworks running around the Bird’s Nest and dashing into the city (photo Kathy Zhuang). London had a great display on The Mall in 2002 to celebrate the Queen’s Golden Jubilee. 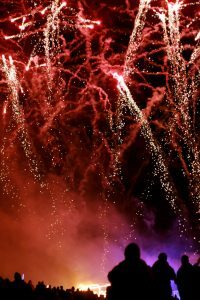 In 2012, it should have a display which bursts out of the Olympic Park, tears up Thames and visits each of the Royal Parks. Such a show, would be a small thank-you to all those unfortunate Londoners, like me, who are forced to contribute hard-earned cash to an otherwise hateful sporting event. 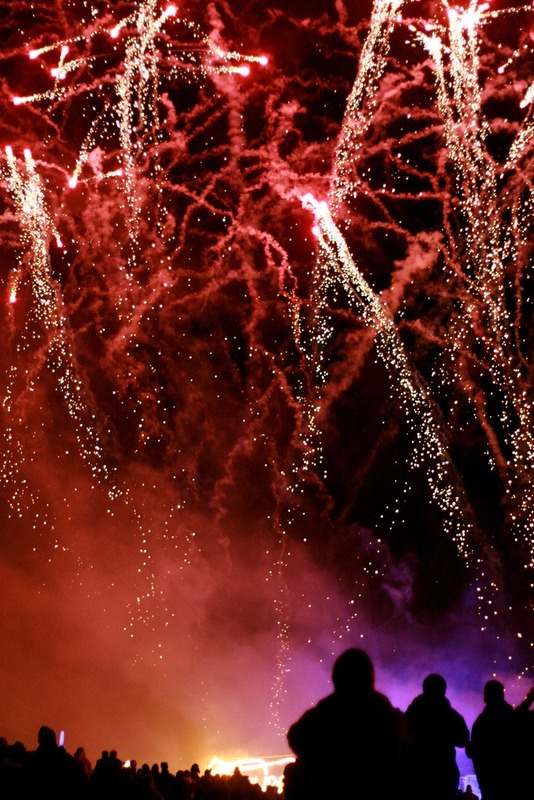 Obviously, landscape architects must be involved in planning the landscape fireworkitecture. See notes on London’s 2012 Olympic Park Development Project. 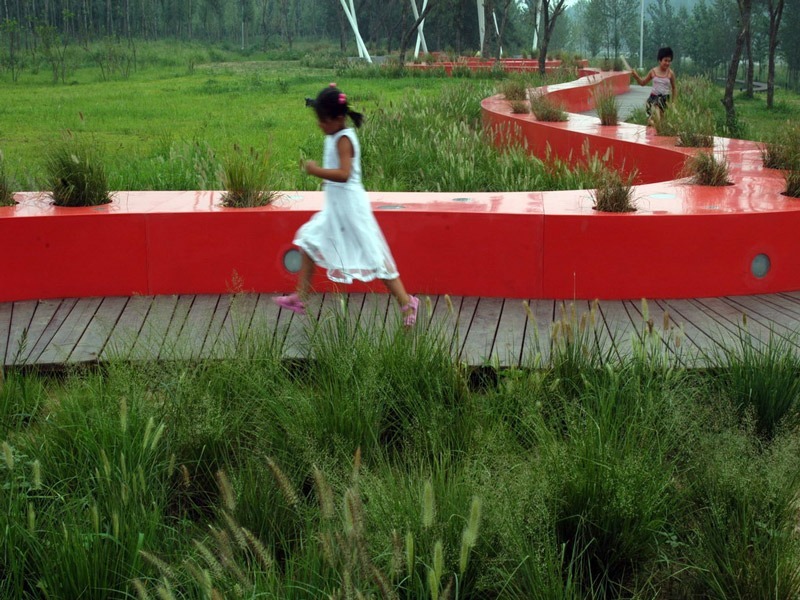 This entry was posted in Landscape Architecture, Public parks, Urban Design and tagged Beijing Olympics 2008, fireworks display, London Olympics 2012 on 24th August 2008 by Tom Turner. 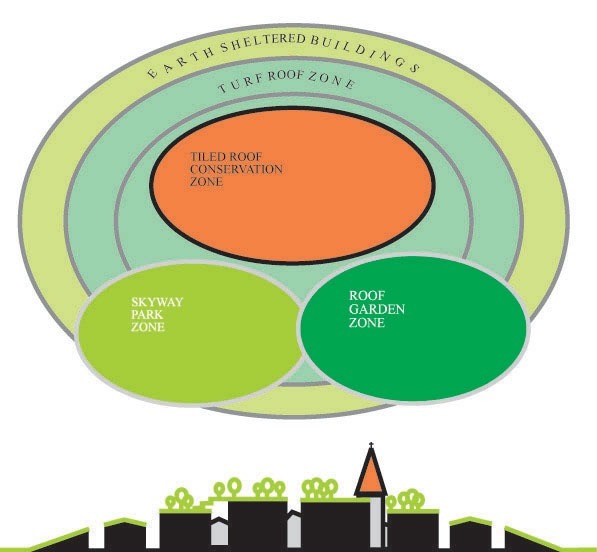 The Dirt (ASLA) blog has a post on “living buildings”. It reviews the idea that in future a building ‘won’t just use less water; it will collect and treat it. It won’t just force air; it will filter it’. This reminds me of the excellent example ASLA set the world by putting a green roof on its own office building – and suggests a possible future for the profession. ‘Landscape architecture’ is, I believe, one of the world’s most important professions, but the general public has never come to terms with its name. We could and should give it a new slant by taking the lead in ‘the landscaping of architecture’. As the photo of the ASLA building shows, a focus on the landscape treatment of individual buildings in not enough. We should develop citywide landscape strategies for buildings with useful exterior surfaces. 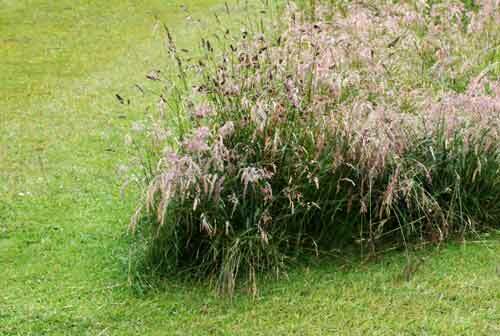 They can be used for recreation, carbon sequestration, food production, rainwater harvesting and much else. 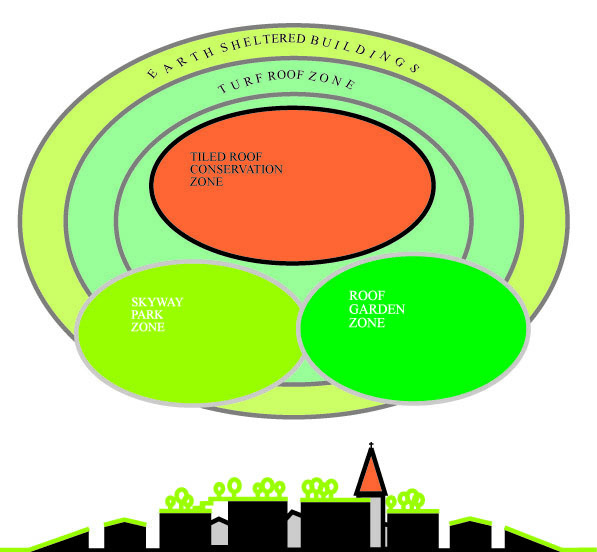 The diagram from a 1996 City as landscape essay on Eco-cities, suggests a citywide approach to the landscape treatment of roofscapes – and has a slight visual kinship with Michael Van Valkenburgh Associate’s design for the ASLA green roof. This entry was posted in Landscape Architecture, Sustainable design and tagged green roof, sustainable landscape architecture on 21st August 2008 by Tom Turner. BBC Radio 4’s Woman’s Hour was broadcast from Beth Chatto’s garden today. You can find the Podcast at http://www.bbc.co.uk/radio4/womanshour/01/2008_34_mon.shtml. Beth Chatto was introduced as ‘one of England’s best-loved and most influential gardeners’. She explained that the two main influences on her garden had been her husband, who studied how plants grow in their natural habitats, and Sir Cederic Morris, an artist and gardener who lived at Benton End. Beth Chatto said she did not give much thought to colour harmonies and that her interest in plant groupings derived from an earlier love of flower arranging. She then made friends with, and was influenced by, Christopher Lloyd and Graham Stuart Thomas. Her correspondence with Christopher Lloyd, who became her friend, began when he told her off for being ‘cruel’ to her Dry Garden – by not watering the plants. I guess history will judge Christo wrong on this issue. Beth Chatto also remarked that ‘I didn’t read Gertrude Jekyll for, oh, years. But when I did, I felt a real warmth for her’. She came over as a plain-speaking gardener. On the layout of her garden, the most telling remark was that ‘A path needs to go somewhere’. 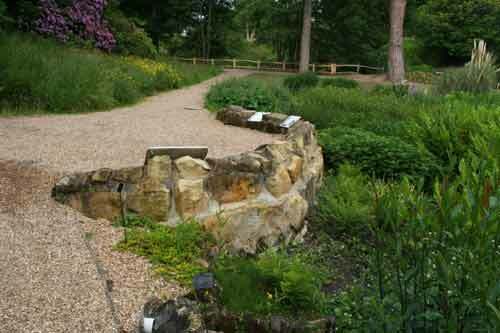 While full of admiration for her plants, I find the design of Beth Chatto’s Garden disappointing. It is flower arranging on the scale of a garden. There is little imagination and the spatial composition is weak. Indeed, one has to wonder if Christopher Lloyd’s approach to garden design was similar. It could well be that it was the work of his father, and of Lutyens, which give Great Dixter its charm. 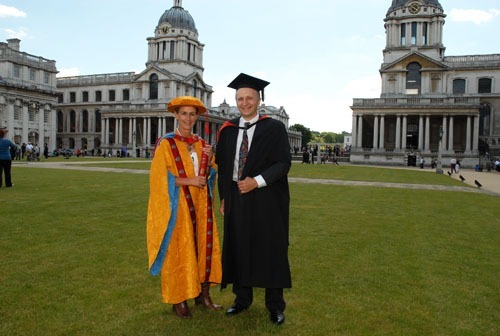 A dress can be made out of the most beautiful fabric without being well-cut or stylish. This entry was posted in Garden Design, Garden Visiting and tagged Beth Chatto, design, garden, green design, planting design on 18th August 2008 by Tom Turner. The English summer of 2008 has had an unusually good mix of sun and rain. Perhaps a bit too much rain actually, but it has been very good for grass and it is a pleasure to see how many more gardens make a feature of the contrast between long grass and mown grass. Twenty years ago one only saw this effect at Great Dixter and in gardens which made a feature of daffodils or bluebells or another favoured flower. 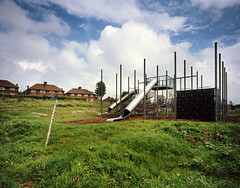 Today you can even find patterns of mown and unmown grass in London’s parks – the impetus to this came from David Goode at the Greater London Council and from the Urban Wildlife Group which Chris Baines co-founded. The popularity of grass in gardens has also been influenced by Piet Oudolf and a general enthusiasm for planting ornamental grasses in gardens. 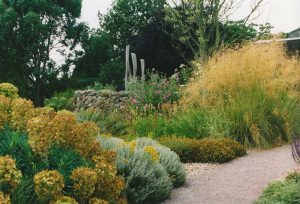 This entry was posted in Garden Design, Garden Visiting, Landscape Architecture and tagged chris baines, david goode, flowering grass, great dixter, mown grass, ornamental grasses, urban wildlife group on 7th August 2008 by Tom Turner.